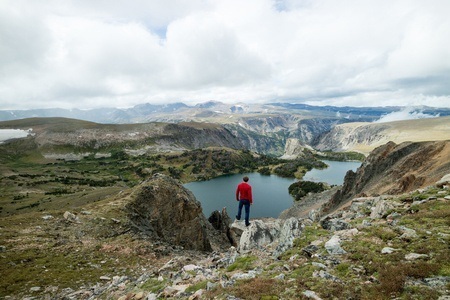 When I first moved to the Rockies, one of the first places I set off to explore without ultralight backpacking gear was the Absaroka-Beartooth Wilderness, bordering Yellowstone National Park in south-central Montana. My girlfriend and I planned to spend two weeks hiking through the mountains, fishing the high-mountain lakes for trout and enjoying some of the most spectacular scenery on earth. We set off into the hills with every piece of gear the outfitter in Billings could talk us into buying. Needless to say, our packs weren’t light and our shoulders were sore before we made it to the first lake. We never made it to the second. After that first experience I had to find a way to get by with less and set out to find the best ultralight backpacking gear. Piece by piece I cut weight and by the end of the season my pack was so light I could chase elk across the highest peaks all day and camp wherever I ended up as darkness fell. It was liberating and I never went back. 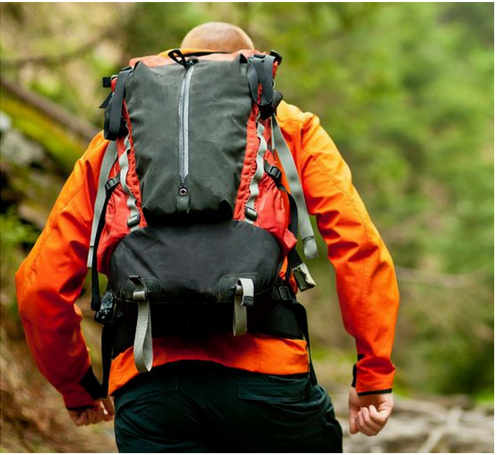 Most people can get by with only enough gear to fill a small fanny pack when going on day hike, but feel they have to take 50 pounds or more when camping for a few nights. After that first trek into the Beartooths, I started thinking about what I truly needed to be comfortable at night. Remembering my aching back and knees, I came to the conclusion I didn’t need much. And had to cut back. ​Aside from the gear I usually carried when going out for just the day, all I needed to spend a night in the woods was a bed, a shelter and a way to cook a meal. My first ultralight camp consisted of a 6-pound sleeping bag, a 1-pound pocket hammock, a 1-pound tarp, a 1-quart cooking pot and a small 2-pound butane stove. That’s it! With just under 10 pounds of extra gear I could roam the woods at will and still be completely comfortable at night. With my other gear, including some dehydrated food, the total weight of my pack came in at under 20 pounds. 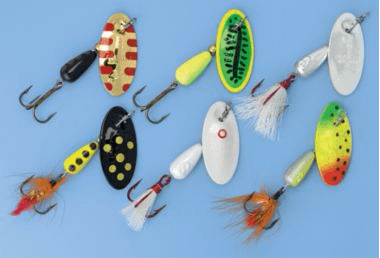 Gear gets lighter and higher tech every year making it easier than ever to put together a list of essential gear like ours. 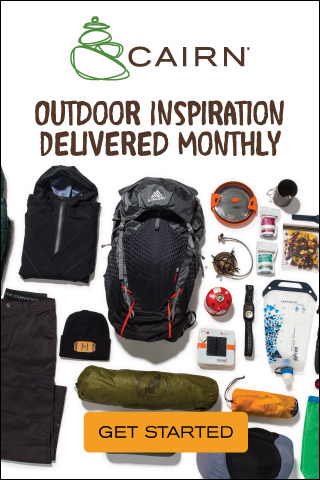 If you bought everything on the list you’ll have a complete ultralight pack full of the highest quality, durable gear that will last for years. Plus the whole pack weighs less than 17 pounds! So let’s get to it. Fight the urge to get a bigger pack than you need, it’s human nature to want to fill up the extra space with all the cool gear out there. 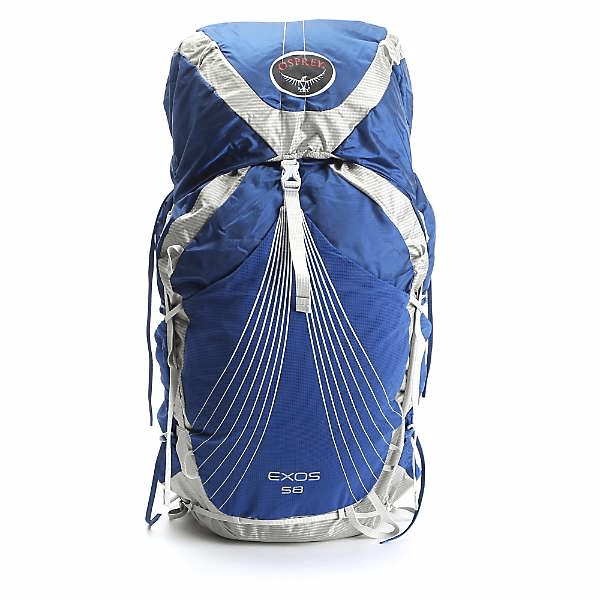 The Osprey Exos 58 weighs a mere 2 lbs 10 ounces but has a 58L, 3538 cubic inch capacity and holds 30 pounds of gear (should you need it). Their ExoForm shoulder harness is a lightweight and highly breathable suspension system made of mesh covered foam. 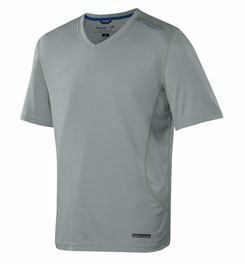 Combine that with breathable back mesh panel that ventilates to the side and you have all day comfortable packing. 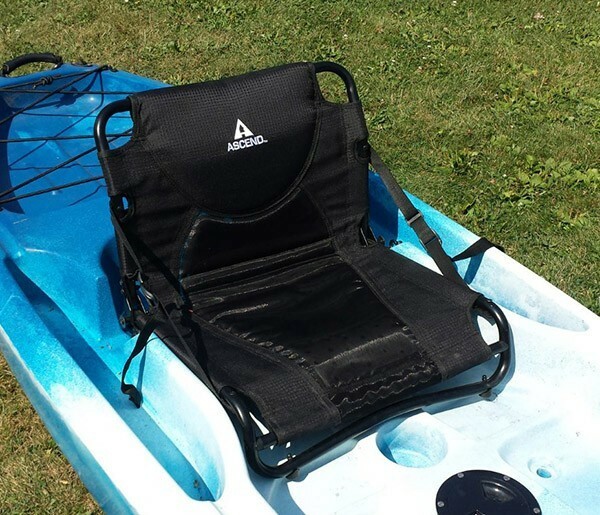 Well thought out straps, tie downs, pockets and other nook and crannies to stash all your ultralight gear. Retails for ~$219.99. I used to only carry a small tarp when chasing game through the woods in the fall and saved the tent for the warmer months when the bugs are out in force. As ultralight tents have gotten lighter, stronger and more versatile, I’ve started carrying one all the time. 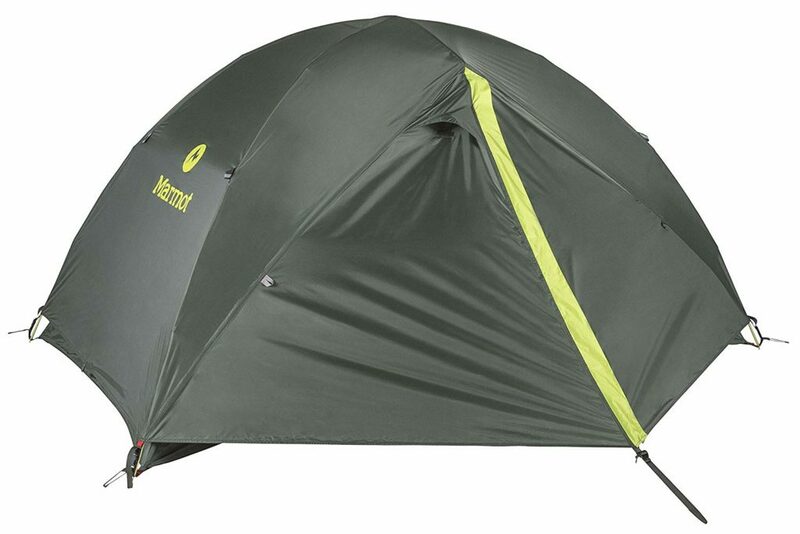 Marmot Crane Creek 2P Tent is a two-person, three-season wonder and weighs just 4 pounds 13 ounces. The floor and rainfly are made of 68D polyester taffeta with super strong, 9mm press-fit poles. 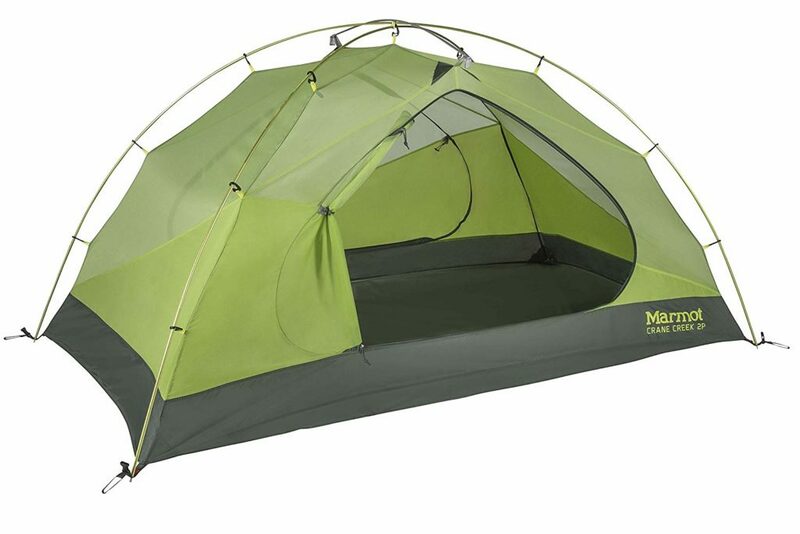 This tent provides 32 square feet of space and compresses down to 18 by 7 inches. 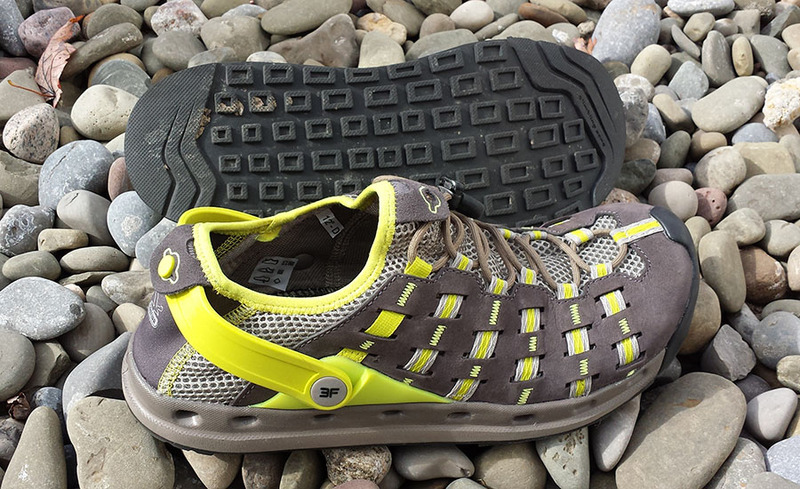 It comes with or without the footprint and is very reasonably priced. 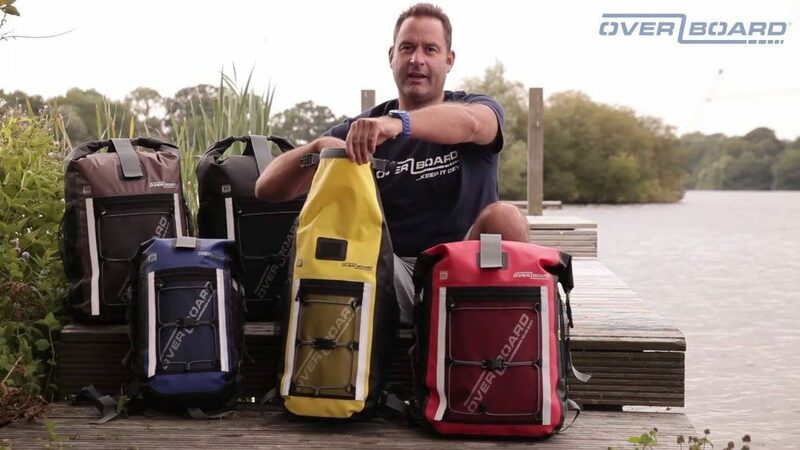 You don’t have to sacrifice durability for weight when shopping for an ultra light bag. The Western Mountaineering Caribou MF is a 35 degree bag built with a generous cut for bigger campers and it’s more durable than other bags that weigh a mere 1 Lb 5 Ounces due to it’s taffeta-like fabric. 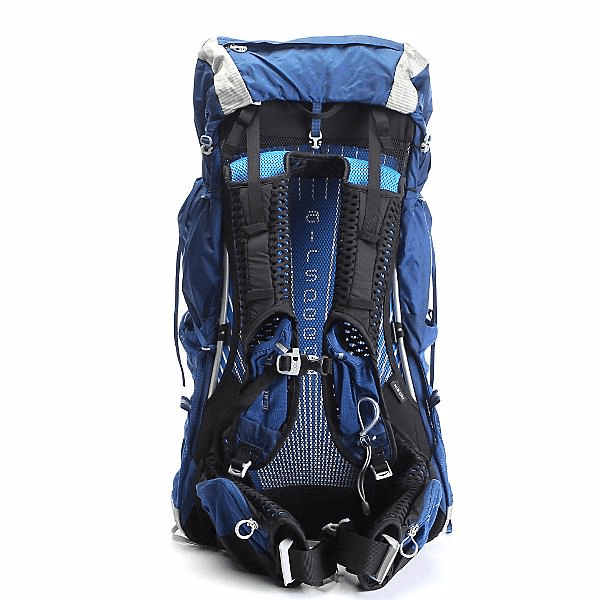 It breathes well, has a full length zipper and packs down to fit in the 6″ by 12″ stuff sack. The 11 ounces of fill keep you super warm. Being a 35 degree bag, it’s an ideal 3 season bag. 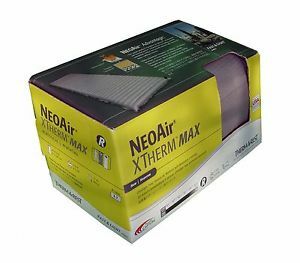 The Thermarest NeoAir XTherm is not the lightest pad out there, but has an R-Value of 5.7 so it’s super warm, and has a high overall comfort rating compared to other pads. So we are fine with it tipping the scales at 15 ounces, which is still pretty darn light. It’s the same size as other pads (but has a longer version), 72″x 20″ and just as thick at 2.5 inches fully inflated so there was no skimping. 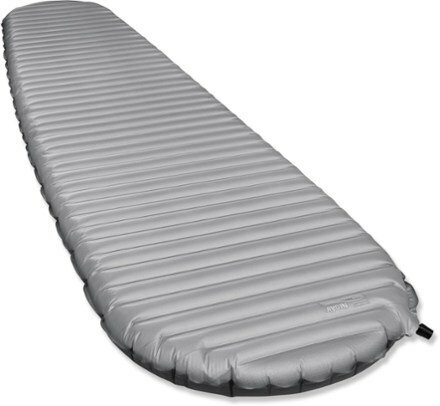 Ultralight doesn’t need to mean ‘light but uncomfortable’, and a good pad is the difference between good sleep and bad. 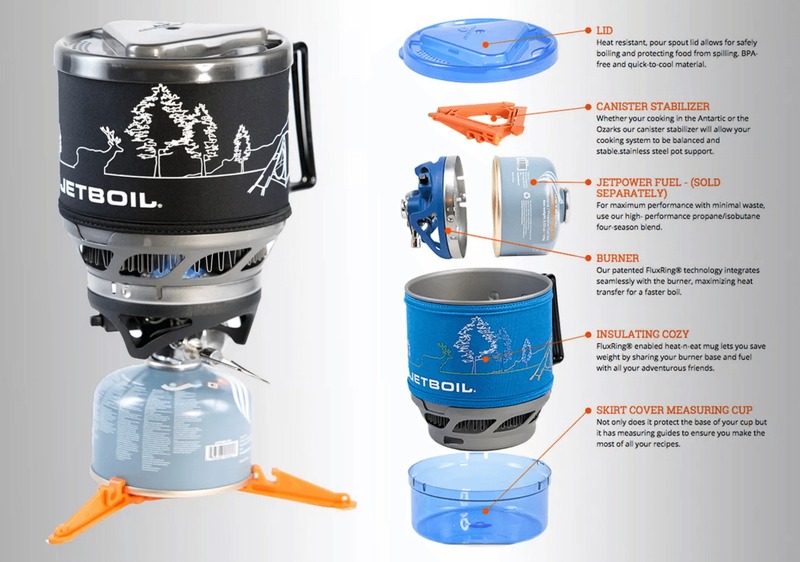 Small cooking systems have gotten so high tech, super efficient and packable. 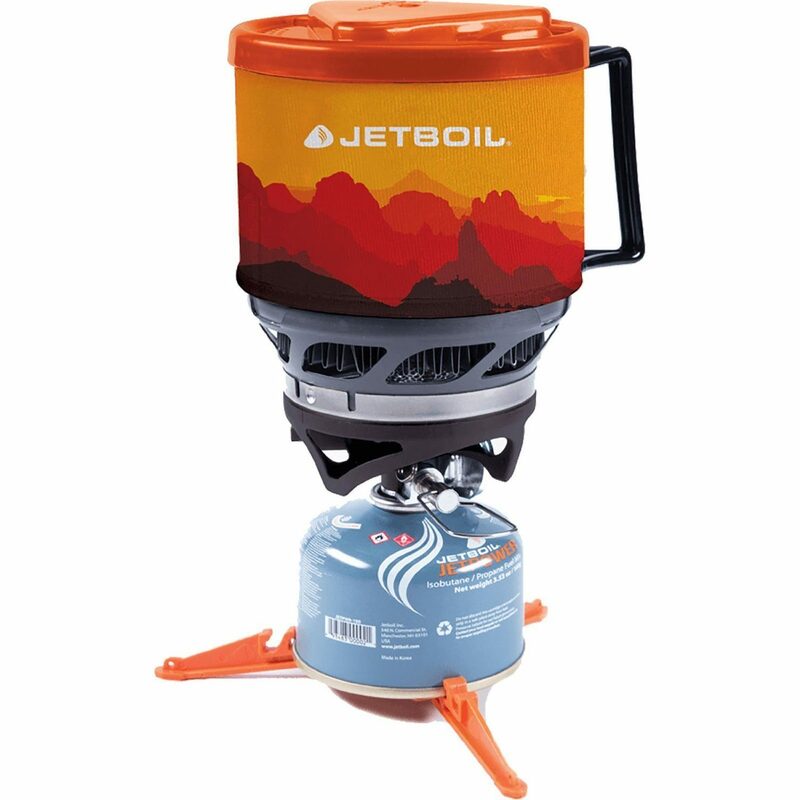 The Jetboil MiniMo Cooking System weighs 14.6 oz, packs down to 5 x 6 inches when the fuel, burner and stabilizer are stored inside, which is awesome. You can cook and eat from the insulated mug or from the plastic measuring cup/bowl that comes with it. The super efficient burner boils water in about 2 minutes and keeps your food simmering even in 20 degree temps. It’s extremely popular and can be tough to find so we would recommend visiting Amazon who has it for around $130 depending on the cozy style you prefer. I like gear that excels in many situations. 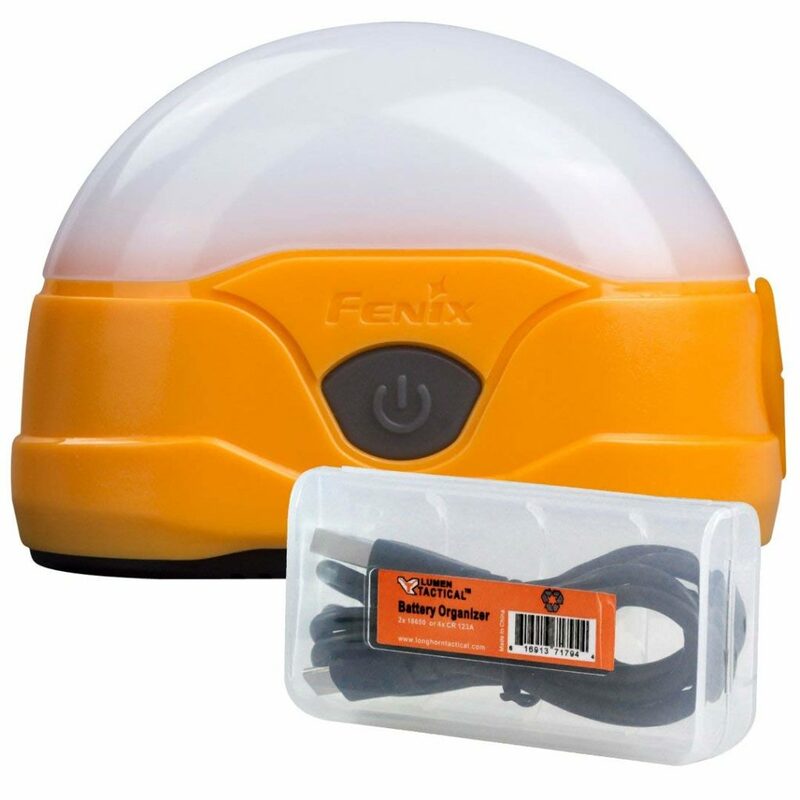 The Fenix CL20R is a powerful LED camp lantern that can light up your tent and your trail while fitting in the palm of your hand. 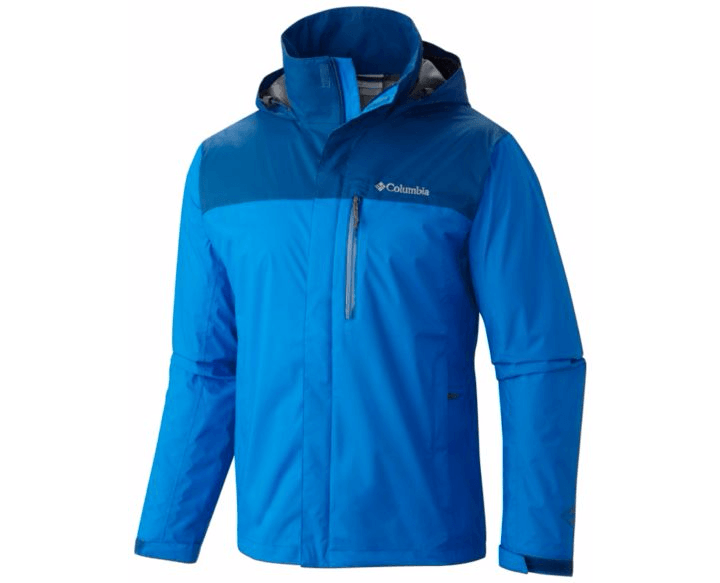 It’s weatherproof and functions perfectly in extreme cold. You can put it wherever you need light with a handy ring on the bottom, which hangs well in the top of your tent, and a powerful magnet that holds strong to steel. It’s reasonably priced at ~$40 and weighs 3.2 ounces. I love this light and used its predecessor, the CL20, a lot. This CL20R is twice as light, twice as bright, rechargeable, and last a lot longer! 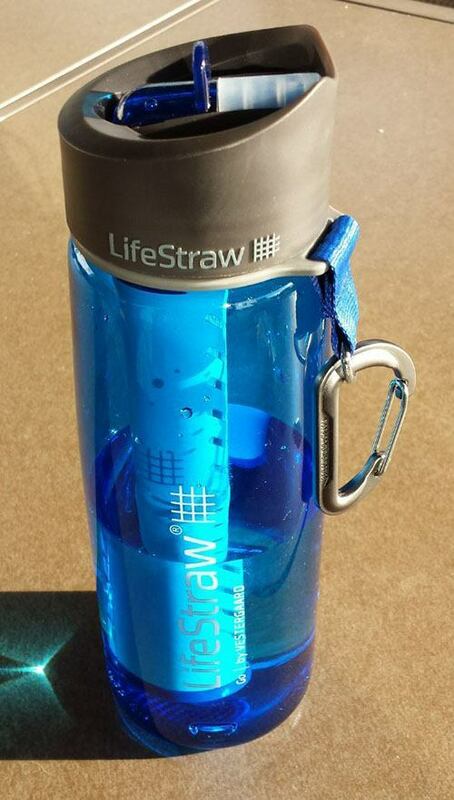 The possibility of parasites and bacterium are always present in un-purified water, but the LifeStraw Go Water Filter Bottle lets you drink directly from the source and then fill up your bottle to go. An advanced hollow-fiber membrane technology will filter up to 264 gallons of water down to 0.2 microns, removing 99.9 percent of all waterborne pathogens, meeting all EPA drinking-water standards. Weighing 12 ounces and cost about $35. Terramar’s Micro Cool short-sleeve shirt is designed to keep you cool and dry with a 50 SPF for total sun protection. The Micro-cool fabric both lowers skin temperature and inhibits bacteria-causes odor. Retails for ~$22. 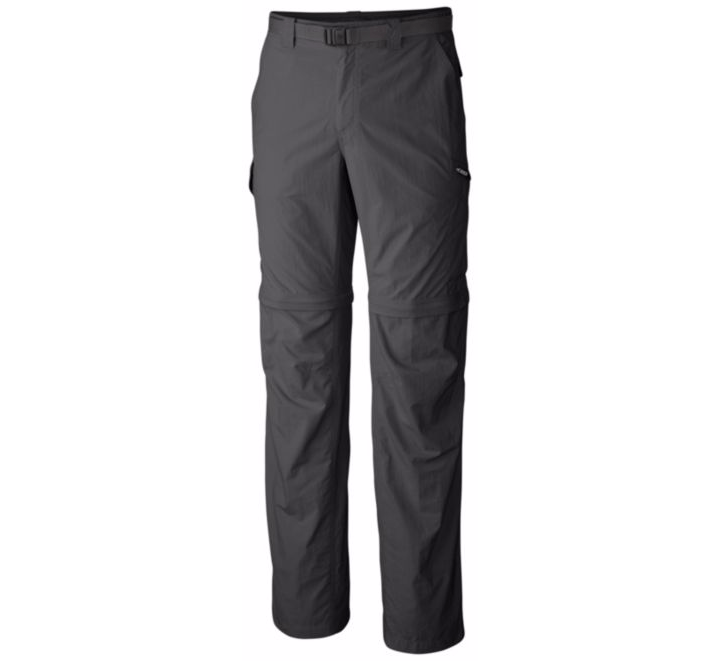 The Columbia Silver Ridge Convertible Pants with Omni-Wick high-performance fabric also have a 50 SPF, plentiful storage and zip-off legs. Super versatile and tough. Comes in tons of colors and costs ~$60. 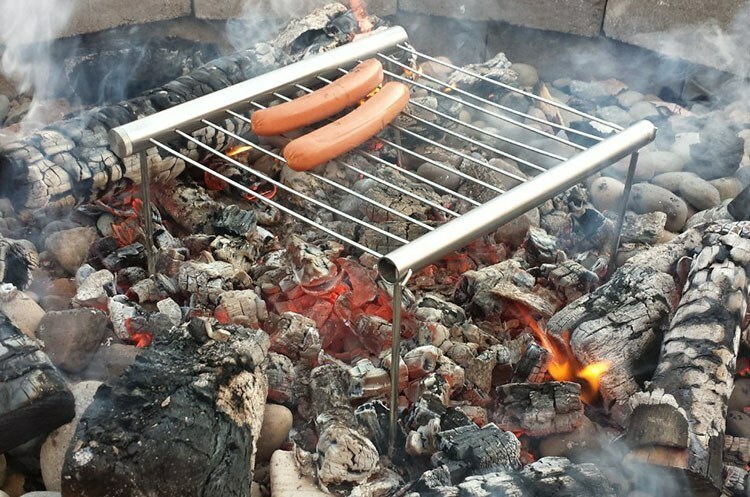 Carefully consider your menu for ultralight backpacking. If you will be on the trail for days the weight of your food becomes an issue. And don’t rationalize it with the idea that you will eat that weight so it’s ok to pack a little more. 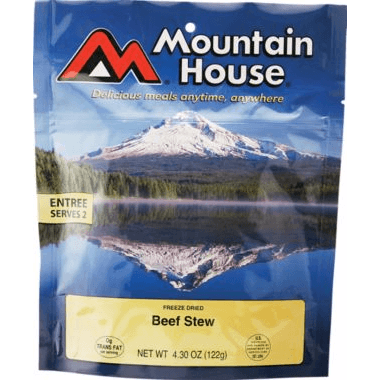 For variety and weight it’s tough to beat Mountain House who makes freeze dried meals…everything from breakfast to dinner and even freeze-dried ice cream that won’t melt in your pack. Plus they actually taste great! A nice change from eating Clif Bars. 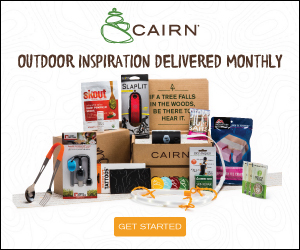 I usually buy mine from Cabelas or Amazon, they carry most of their dishes. My favorite you ask? 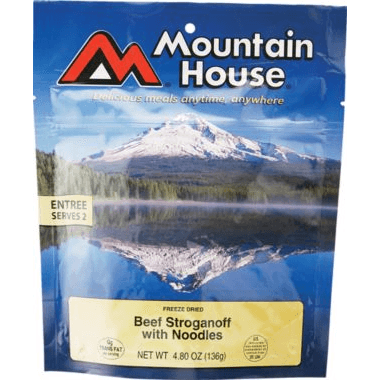 The Mountain House Beef Stroganoff! 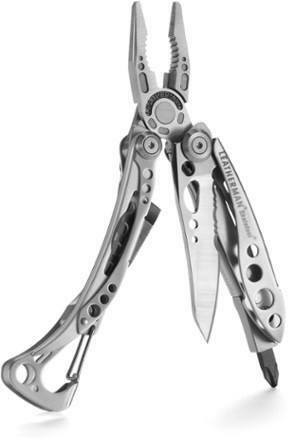 Instead of just packing a knife, the Leatherman Skeletool has a knife, pliers, wire cutter and several screwdrivers. It’s also the lightest Leatherman at 5 ounces. ​It can be attached to your pack with the quick release carabiner. 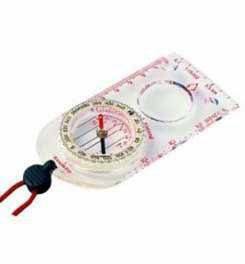 Even though you know the sun rises in the east, sets in the west, moss mostly grows on the north sides of trees (in the Northern Hemisphere), carrying a good compass is always a smart idea. For ~$21 my favorite is the Suunto A-30L Compass. 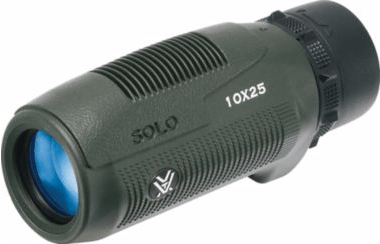 Instead of a pair of binoculars, the Vortex Solo 10×25 Waterproof Monocular works great for checking out wildlife, distant objects and landmarks. Weighing only 8 ounces it’s half the weight and half the size of a good pair of binos. Retails for ~$54. 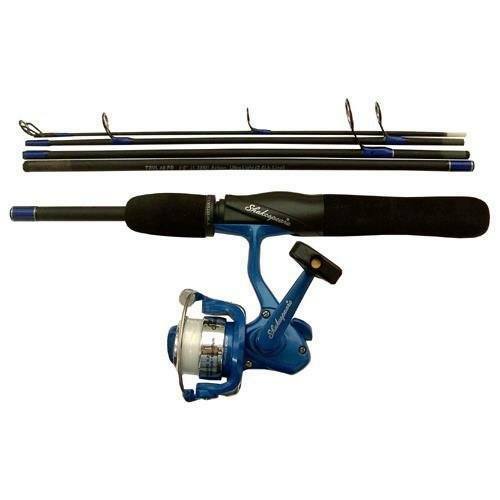 For attracting and catching fish, nothing beats the sonic vibrations of Panther Martin lures. The Panther Martin Pro Guide Anywhere 6-Pack has all the patterns you need to keep the frying pan full. It sells for about $20. Like they say in the credit card commercial, don’t leave home without it. While the odds of having a bear encounter are statistically very low, you might want to be prepared. 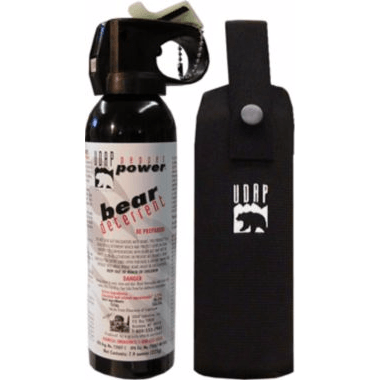 The new formula UDAP Bear Spray has a two-percent capsaicin concentration, the active component in chili peppers. 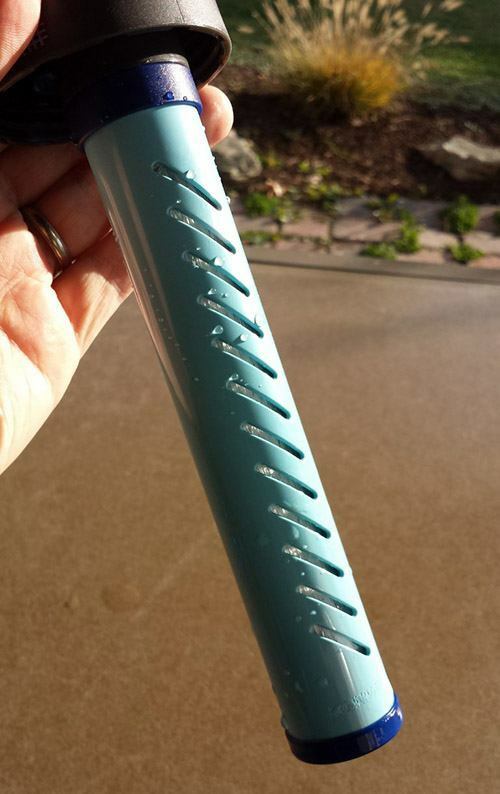 This stuff is nasty, has a 30-foot range and was developed by the owner of the company after being attacked by a grizzly. It sells for about $35-40. Time To Get Out and Ultralight! If you’ve been dreaming of packing ultralight and setting off on a new trail, you can use our list or build one of your own. Whatever fits your own needs and style. Just remember, packing a lot of gear is unnecessary and almost defeats the purpose of backpacking. Nothing is more liberating than carrying all the basics comfortably on your back as you escape civilization. 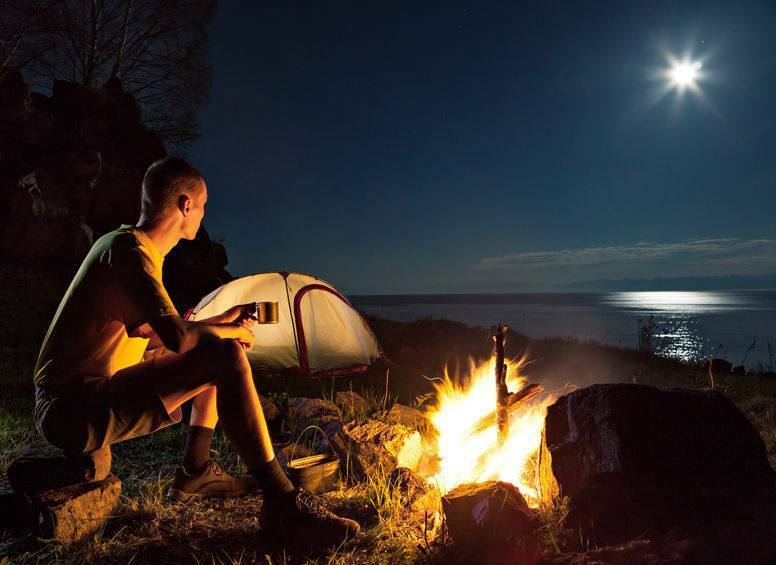 Embracing the technology of the new equipment and materials will keep your gear for ultralight backpacking as light as possible and you will enjoy the outdoors so much more. Let us know some of your favorite ultralight kit. We’d love to hear from you!